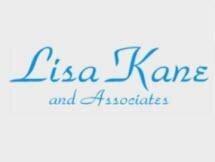 At the law office of Lisa Kane and Associates, we are passionate about protecting the rights and interests of employees in Chicago and throughout the surrounding areas of Illinois. We fight back against workplace wrongs, combating employment discrimination, harassment, wrongful termination and retaliation. We also handle Financial Industry Regulatory Authority (FINRA) matters and represent clients in severance negotiations. Founding attorney Lisa R. Kane was admitted to the bar in 1990 and brings extensive trial experience to employment law cases. She has been repeatedly recognized by the Federal Bar Association and judges of the Northern District Court, which includes being honored with the Award for Excellence in Public Interest Service in 2007 and 2008. Ms. Kane's accolades also include being named one of the National Trial Lawyers' Top 100 Trial Lawyers (2011-2015), listed as one of the Top 100 Lawyers by the National Advocates (2014) and named in Illinois Super Lawyers magazine (2007, 2009-2015). In addition, she is a lifetime charter member of Rue Ratings' Best Attorneys of America. We will fight for your rights in the workplace. Call the Chicago law office of Lisa Kane and Associates today to schedule an initial consultation with our experienced employment law attorneys who can diligently advocate for you and the fair treatment you deserve.